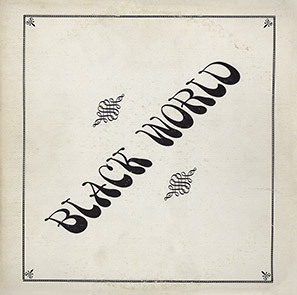 Black World came out originally in 1979, on the Wackies’ imprint Hardwax. (The original cover commemorated the first year of Honest Jon’s new reggae shop Maroons Tunes, Bullwackies’ UK distributor.) 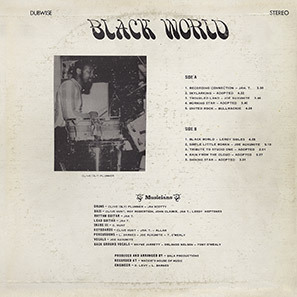 It’s a tough album, with Sibbles guiding the selection as well as sharing bass duties - there are versions of his classic composition Guiding Star and stylish Wackies heavyweight, This World; and Tribute To Studio One reworks Heptones Gonna Fight / Hail Don D. as modern steppers, with the kit-drums - as throughout this album - supplemented effectively by the latest electronic innovation from Japan. Drifter and Skylarking put in appearances; and two full Joe Auxumite vocals from the solo album scheduled for release around this time, but abandoned when most of the tapes were lost. A dub version of Delroy Wilson’s Rain From The Skies rounds out proceedings.